The economy minister of Spain said that the country, fourth largest economy of eurozone, had escaped from a full state rescue. This was happened due to a bailout package from the European Union towards the country’s underperforming banking sector. He said that the financial aid was useful in turning the perception of worse economy into a favourable one, become reality. He was referring to the stress tests that were carried out on different banks in Spain. He also said that, without the financial rescue, Spain could have been ended in a situation where others had to rescue it. The plan agreed to rescue Spain from the economic crisis due to the housing bubble, in July 2012, was €100 billion ($130 billion). From the agreed rescue plan amount, until now, Spanish banks have taken around €41 billion. There were concerns about the stability of Spain economy due to the recession of 2011. The economy minister of Spain also said that Spain would not be asking for more funds apart from the aid from EU. 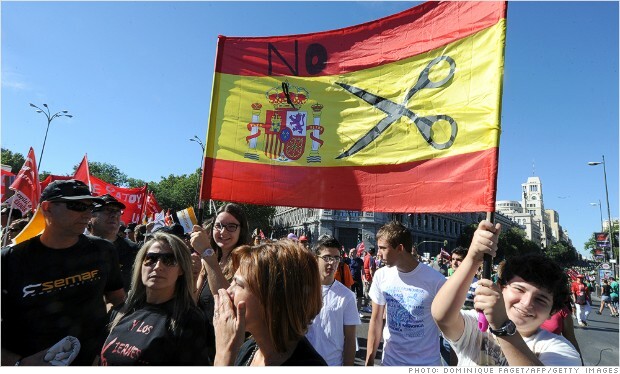 At this juncture, the minister said that the economy of Spain will soon exit from the effects of the recession. He expressed concern over the recovery strength of the country’s economy. Even though there was a decline in the Spain economy in the first three months of 2013, it is expected that the country will recover by the end of the year.